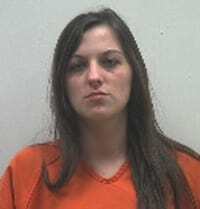 BUCYRUS — One woman was sentenced to prison this week in Crawford County Common Pleas Court. Christine Stevens, 23, Bucyrus, was sentenced to eight months in prison after pleading guilty to drug possession, a fifth-degree felony. She must also pay a mandatory drug fine of $2,500 and forfeit all drug-related property to the Bucyrus Police Department. Judge Sean Leuthold also suspended Stevens’ driver’s license for six months. Nicole Whitmore, 30, Galion, pleaded guilty to one count of theft and to violating her intervention program from a 2013 conviction. Leuthold sentenced her to five years of community control and she must pay a fine of $750. She is also ordered to complete a drug and alcohol treatment program and must pay restitution in the amount of $1,250 to the victim in the theft case. Whitmore pleaded guilty to theft in Common Pleas Court Wednesday afternoon and admitted to violating her intervention program on a 2013 case. Judge Sean Leuthold will place Whitmore on community control for five years for the theft charge, fine her $750, and order her to complete a drug and alcohol treatment program after a pre-sentence investigation is completed. Whitmore will also have to pay $1,250 in restitution to the victim in the case. In Crawford County Municipal Court, bond was set at $1 million last Monday for a Detroit man. Torin T. Jones, 43, is facing one count of possession of cocaine, a third-degree felony. The vehicle Jones was driving was stopped by the Ohio State Highway Patrol on Sunday for suspicion of operating a vehicle under the influence. Jones was also wanted on a Crawford County warrant for failure to appear for a review hearing and was driving under suspension from a previous OVI conviction. While Crawford County Prosecutor Matt Crall requested a bond of $250,000, Judge Shane Leuthold opted to set the higher bond of $1 million, citing the protection of the community against drug activity.